A police chief has defended the work of officers in Littlehampton after the town’s mayor said residents had ‘lost confidence’ in the force. Acting Chief Inspector Kris Ottery told the Gazette of a series of crime-fighting successes – and insisted officers would always be there for residents when needed. Antisocial behaviour, vehicle crime and distribution of drugs were among the priorities district-wide, he said. Click here to see what Littlehampton’s mayor had to say about local policing. Ch Insp Ottery said: “We investigate every crime that is reported to us and use our professional judgement to assess what level of further investigation is proportionate. There is no financial threshold alone that means we won’t investigate. 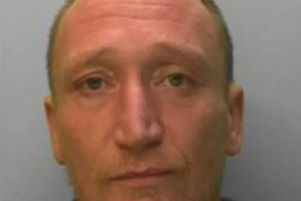 “For example, Terry Higgins, 44, from Purbeck Place, Littlehampton, was arrested and charged with stealing alcohol from a shop in Broadmark Parade, Rustington. He failed to appear in court and is wanted on warrant. A 61-year-old man was handed a criminal behaviour order last year and banned from several High Street shops following incidents of antisocial behaviour, Ch Insp Ottery said. Police are also working with a small group of young people in the town, sending warning letters and talking to their parents to address issues at an early stage before resorting to resorting to criminalising them. Ch Insp Ottery invited residents to contact the Arun prevention team by email at arun@sussex.pnn.police.uk or by calling 01273 404928 to discuss local issues.